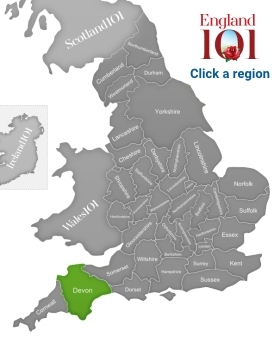 Delightful Devon is the type of English county that can fulfil just about every positive English stereotype in one go. 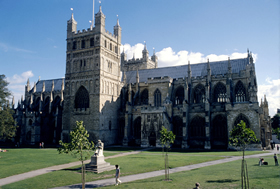 A largely rural county, Devon (sometimes called Devonshire) also has several large cities, including its county town Exeter, which is known as a “cathedral city” for its many churches, including the stunning Exeter Cathedral, an ornate Anglican cathedral that dates back to the 12th century. But it is Devon’s countryside and coasts that have made it incredibly popular among tourists since the 19th century. Devon is the only county in England with two different sea coasts, the Exmoor Coast to the north bordering the Celtic Sea, which has the highest sea cliffs in Britain - the Great Hangman (318 m) and Little Hangman (218 m). 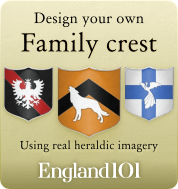 The Dorset and East Devon Coast, meanwhile, borders the Celtic Sea to the south, most of which is a Heritage Coast. Part of this stretch of coast - a UNESCO World Heritage Site - is also known as the “Jurassic Coast” for its incredibly old geological formations. Devon has long been a popular holiday destination, due in large part to its quiet, rural countryside and scenic coastal towns, namely Torquay and Paignton, which make for perfect getaways. In recent years, Devon has also become popular with adventure seekers who come seeking the rugged surfing conditions along the north coast, as well as fly fishing and the hiking and cycling opportunities on offer in both Dartmoor and Exmoor National Parks. Devon has also produced its fair share of celebrity names, not the least of which being mystery writer Agatha Christie, who was born in the scenic coastal town of Torquay. Likewise, actor Matthew Goode and singer Joss Stone are from Devon, while Coldplay frontman Chris Martin was born and raised in Exeter. All the members of the rock band Muse are also from Devon and formed the band there. But Devon’s most famous export is undoubtedly its cream tea, sometimes known as Devonshire cream tea, which consists of scones, jam and clotted cream. Today, the county is an undeniable foodie’s haven, with numerous artisanal traders producing locally sourced foods. 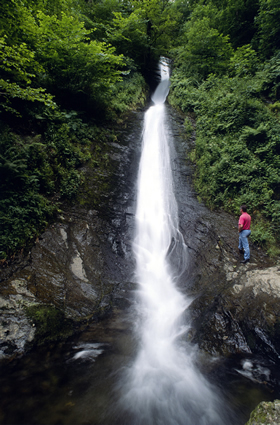 A man stands and admires the Whitelady Waterfall at Lydford Gorge., Lydford, Devon, England. Exeter Cathedral is one of England's most beautiful Medieval cathedrals and represents one of the finest examples of Decorated Gothic architecture in the country. Hercule Poirot, the fictional detective of Agatha Christie's novels, in the author's home town, Torquay, Devon, England. 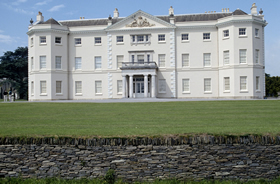 Saltram House is a classic example of a George II mansion with its original contents, set in an attractive 500 acre parkland on the banks of the River Plym. 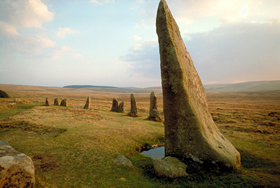 The Scorhill Stone Circle, Dartmoor, Devon, England. 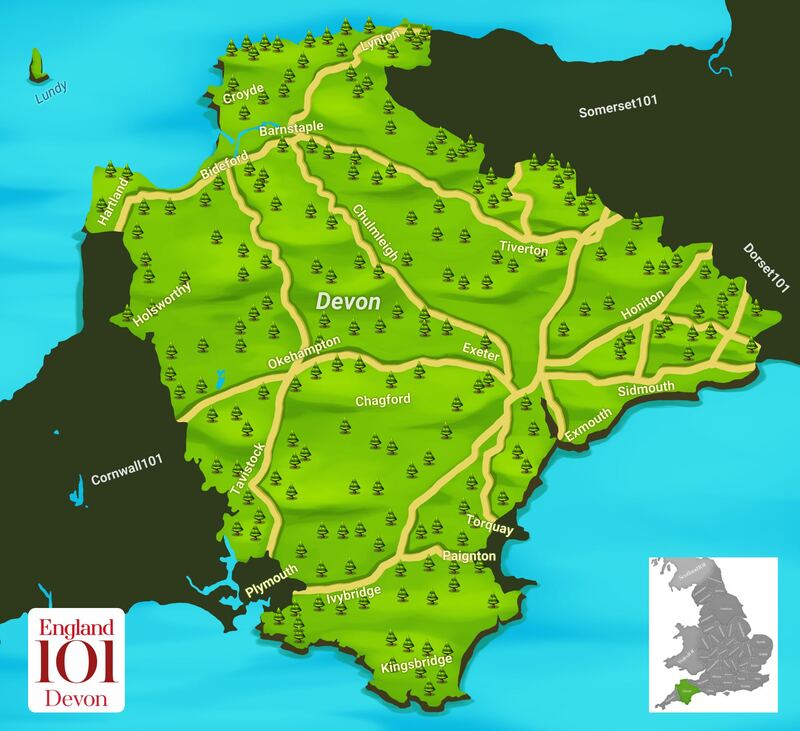 How much do you know about Devon ?